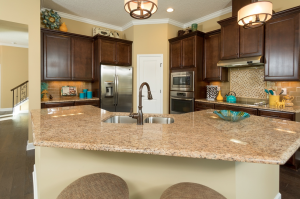 Take a tour of one of our most popular floorplans, The Suwannee, at Two Creeks in Middleburg, FL. This is an impressive 4-Bed, 2.5-Bath with over 3,500 total sq. feet. T he Suwannee includes impressive features for the whole family, like the game room, covered patio, and a breakfast nook with a bay window. The second-story owner's retreat includes tray ceilings and a spacious walk-in closet. Step outside and fall in love with the neighborhood. Two Creeks is a one of a kind, master-planned community boasting natural beauty from the preservation of over 250 acres of undisturbed land and 27 pristine lakes. Two Creeks offers residents everything they could want in a community from the secluded lifestyle in uncompromising natural beauty to a variety of amenities including a beautiful clubhouse with fireplace and kitchen, state-of-the-art fitness center, sparkling swimming pool with water feature and toddler pool and a multi-purpose sports field, along with lighted tennis courts, basketball court and sand volleyball court. Call Melissa at (904) 337-5236 for more information about our Suwannee Model at Two Creeks. 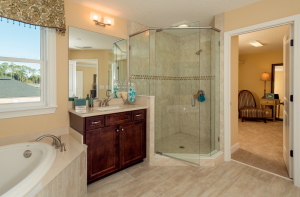 4317 Song Sparrow Drive, Middleburg, Florida Providence Homes is Jacksonville, Florida’s hometown builder. As one of the area’s largest locally owned home builders, we are committed to building beautifully designed, 100% Energy Star certified homes at an affordable price. 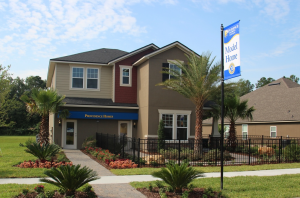 No matter which neighborhood you choose in Clay, Duval, or St. Johns County, Providence Homes has been a name families can trust as a Jacksonville new home builder for more than 20 years. Visit providencehomesinc.com for more information.